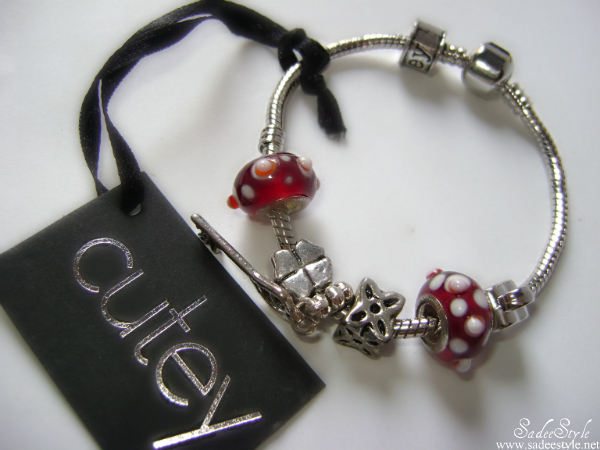 Introducing my new HEMERA bracelet that I got from Cutey. 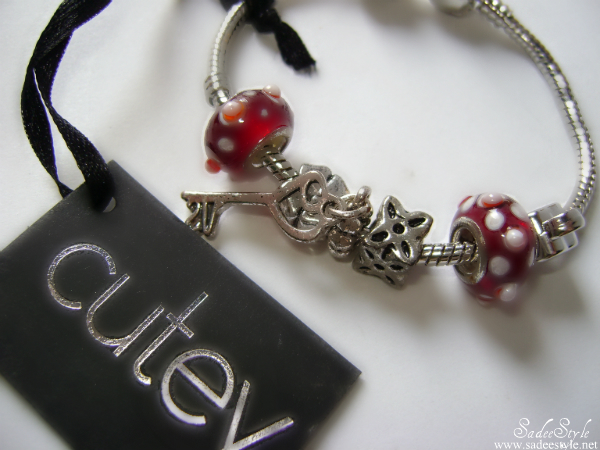 Cutey is an online store where you can buy beautiful bracelets and there are two types of bracelets are available on the site, charm and shambala. The one i own is a charm bracelet with glass beads, there are around eleven different bracelets are available to choose from in charm category and the one I've chosen is called HEMERA. It comes with the 18cm chain length, red and white combination with doting design on. Cutey describes it as the mythological of the Day. Red, full of life and holding the key to your future, this bracelet urges you to grab at life with both hands. I love charm bracelets It's so much fun to collect them. They can be dressy or casual depending on the look you want. The bracelet Hemera bracelet comes with my favorite color red with white combination and have seven beads, but the good thing is that we can add or move our own beads to create different looks also i love the tiny key in the mid, it's just so cute. You can pick your own from Cutey. Good name. It is really cute. 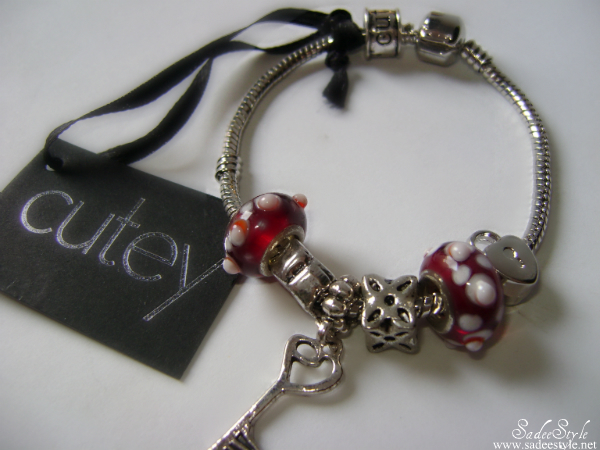 Beautiful :) I like the charms ! I have to visit the website! your bracelet is really, really pretty!